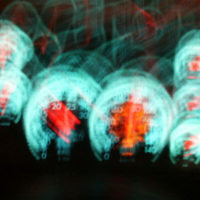 What can make you drive like you are drunk even though you are sober? The answer may shock some: a lack of sleep. Driving while tired, or even exhausted, can have the same effects as driving while intoxicated. Drowsy drivers are just as likely to become distracted, hallucinate, lose coordination, or even pass out behind the wheel. Each of those results could cause a terrible accident, resulting in serious injury or even death. The people most at risk for driving while sleep deprived are those between the ages of 18-29, men, adults with children, and shift workers. Overall, a large group of people are at risk for sleep deprived driving. A shocking 22 percent of men who drive while drowsy are more likely to fall asleep behind the wheel than women are. Those who sleep less than five hours a night are four times as likely to be involved in a crash than those who sleep seven or more. It is common knowledge that .08 is the BAC level that marks being drunk. If you are awake for 18 hours, that equals a BAC of .05; 24 hours equals a BAC of .10. The longer you go without sleep, the more likely it is that you will have the same difficulties driving as a drunk driver. Finally, a whopping 20 percent of the fatal accidents in the United States involving automobiles were caused by sleep deprived driving. In 2015, there were a total of 35,092 automobile-related deaths. That means about 7,000 of those were the result of drowsy driving. Although driving drowsy can be as dangerous as drunk driving, unfortunately it cannot be regulated as such. Unlike drunk driving, there is no way to measure sleep deprived driving like how you can measure someone’s blood alcohol content (BAC). However, Florida has designated the first week of September as Drowsy Driving Prevention Week to raise awareness about this problem and inform the citizens of Florida on its dangers and how to prevent it. Remember, those who get five hours or less of sleep are four times as likely to get in an accident than those who sleep seven or more. Before you drive, make sure you are well-rested. If you start to feel tired, pull over in a safe spot and get some rest. If you are driving for a long trip, take a break every 100-150 miles to rest; also, for long trips, it is strongly suggested to do them with a partner so that you can drive in shifts and have a backup in case someone gets too exhausted to drive. There can be many different causes to automobile accidents, and drowsy driving is just one of them. If you or a loved one have recently been involved in an auto accident, whether it was due to drowsy driving or another cause, contact the experienced attorneys at Spencer Morgan Law in Miami at 866-667-4265 for professional guidance on where to take your case. The attorneys at our law firm will fight passionately for you and your rights.